Hello! 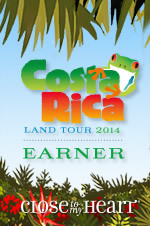 Yesterday I returned from the Close To My Heart Incentive trip to Costa Rica... it was FABULOUS... boy were we spoiled!! I'll show some pics later this week but for now here's a card I put together for a free make and take at next week's fundraiser crop I'm vendoring. Warning: Cruddy photo alert... I had to use my cell phone. Basically I blocked off the two corners with white printer paper and stamped the row of trees in 1st, 2nd and 3rd generation. 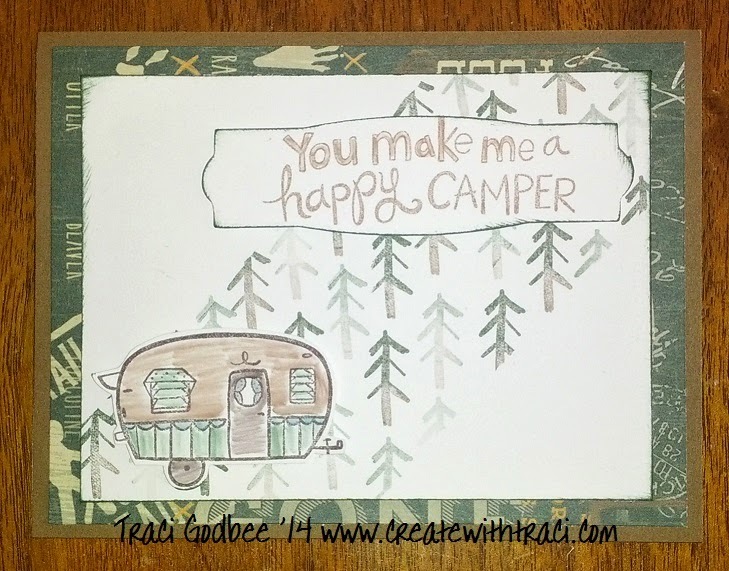 I stamped the camper, and colored with my blending pen dipped in the ink pads to pick up color. I cut the camper out and attached to the card. I popped the sentiment up with 3-d foam tape. All of the white edges were inked with Ponderosa pine ink to make the sentiment piece show better against the background. The sentiment piece was cut from the Art Philosophy cartridge at 1 inch. It looks way cuter in real life but I was too lazy to pull out my good camera... hope you like it anyway! Picture YOUR Life, all caught up!